Looking forward to getting to know you 1 or 2! May be, if you want to attract posters, stop pointless comments like this. It's a forum, not an entrance exam for an Oxbridge degree! Thanks. Only done 2-3 OPs so grateful for thoughts. If I knew how to edit an OP I would do!!! They were just ramblings and thoughts typed quickly. Wasn't going for a grammar and punctuation award!! Just watched the section on England. What a difference to where we are in respect of positive vibes and feel good factor. The FA have made moves to reconnect with fans and so far its working well. SWFC had that feeling in Carlos's 1st season. A fully positive club and fan base all singing the same tune. How badly has it gone? We were nearly there, almost back in the PL. Now we, as fans, are watching a group of players who seem clueless and totally lacking in confidence, tactics and belief. Yet nothing changes.... I want that positivity back... belief, hope and a feeling that club, team and fans are wanting the same thing.. goals and wins which may eventually lead to promotion. For over a year I haven't seen that. Come on DC.... Get this mess sorted. I'm 50 and would like too feel the positivity again. We have a massive fan base but they need encouraging. When we're told it is the fans fault really annoys me. 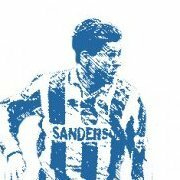 DC and many of our executives have never done Donny's old ground in winter or travelled the length and breadth of the country to watch our team. We are Wednesday.... We are not deluded... We are not expecting Champion's League BUT we are not mute, daft or prepared to watch OUR team suffer a catalogue of mismanagement and substandard football. DC and the club need to act quickly to re-strengthen the fans relationship with OUR team. Execs, players and managers may be paid 1000s but they seem to have forgotten us. 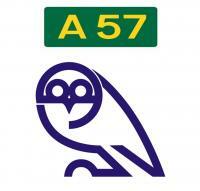 Treat us with respect, we will follow, applaud and be SWFC till we die. After all, none of us want to be back in League 1. Positivity... May be Thursday's Fans' Forum can be a start? What an awful 1st half that was yesterday. As we moved towards half time, you could feel the tension and anger in the crowd. People were building up for a big booing and "Jos Out" moment... Then we scored! I've never seen a goal celebrated in such a flat way. People weren't sure what to do! We clapped them off only for them to let Rotherham score seconds after the restart! Took real advantage of scoring first! Arrgh! I think they're happy at Lincoln. The club has a plan and is on an upward trajectory. They are doing a great job here in Lincoln. There is a real positive feeling between the club and the fans. They are having houses built in a local village. I know houses can be replaced but I get the feeling they are planning to stay in the shire a while yet. Even if he isn't injured, there's no way he'd be match fit. He'd be sent off if he played Friday for a clumsy tackle. This is half the problem. Too many times players look for Bannan rather than attack teams themselves. We need more players to involve themselves. The movement Norwich players made when attacking was far better than ours. Some of our passing was poor, surely BB isn't the only one who can pass? A few need to practice harder. Also Jos should show the team kit diagrams... We are in blue.... they are in yellow.... don't pass to the yellow ones! We were 6th a few weeks ago. Now 6 points adrift of 6th! Needs a big turn around of confidence, tactics and luck if we are going to get anywhere near the play offs! Start with a clean sheet might be a good plan.